What's The Best Gift For Kids? Kids Indoor Playground? Do you know what the best gift for kids is? And what are the best things your kids like? There is the problem that we always meet. Every parent all worry about whether the kids like the gift that you buy. So today we will solve the problem by kid’s indoor playground! Wondering what could be the best gift for your kid's upcoming birthday? Just imagine how wonderful it would be to see your son or daughter enjoy all the amenities that an indoor gym has to offer while at the same time being under your watchful eye in a safe and fun environment! And that's not all; you no longer have to talk into your kid to go out to flex his muscles. He can do that right there in his room, right beside his computer, right after he has played his favorite video game on his PC! That is the wonderful idea behind the home gym. That kind of gift would bring lots of happy hours to boys and to girls. Imaging how much fun your kids are going to get, and not only them but their friends also. And you as a parent going have peace of mind, as your kids will spend more time at home – now when they have a playground in their room all their friends and neighbor's kids will love to play at your home. Indoor home playground - which is a great gift idea for kids all by itself - isn't limited to only what it can do NOW but also what it can do in the future. The original home gym can grow with your children as they grow and adding new equipment to it is as easy as ABC! You can always make modification to the gym equipment to make it more challenging and fun. To make the new additions more attractive, you can present these to your children as part of a Christmas or birthday gift. We all remember how exciting it felt to receive gifts and if that gift is an addition to an already exciting package of a home gym, your children can't ask for more. If any of your children are into athletics, a home gym can be a perfect place to hone their skills. Equipment like gymnastic rings will not only help your children develop dexterity but will also aid in improving their sense of equilibrium. Won't you just love to give your children the advantage over other kids by providing them the facilities at home? All in all, a home gym is a perfect gift for kids. It helps them to build strength; do better in physical education classes at school, and builds lifelong good habits. 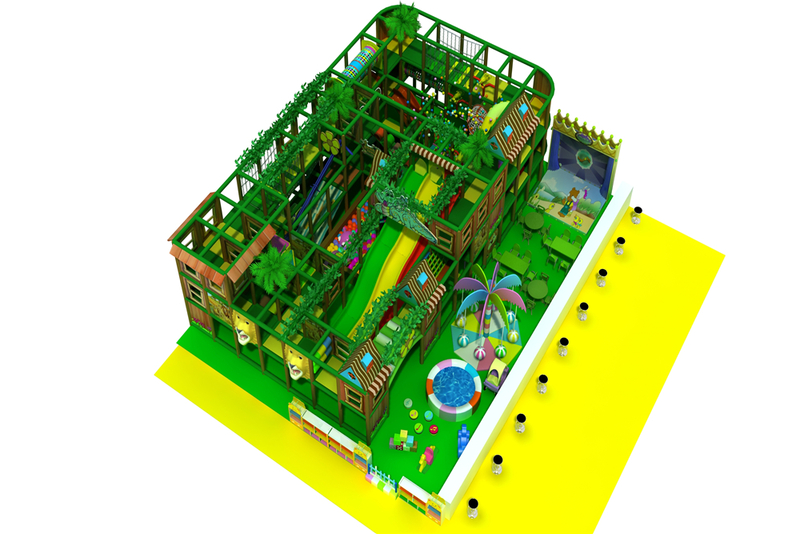 Indoor playground is a safe, affordable gift for your kids which will provide your children with great indoor fun in the summer – when their friends come to play and in winter time when kids gain lot of unused energy. Now you can know send what the best gift for kids, and your kids will be more happy to get your gift. Set an indoor playground will be a clever decision.